Child and Family Agency Child Protection and Welfare Services are divided into four regions nationally, each with a Regional Service Director. 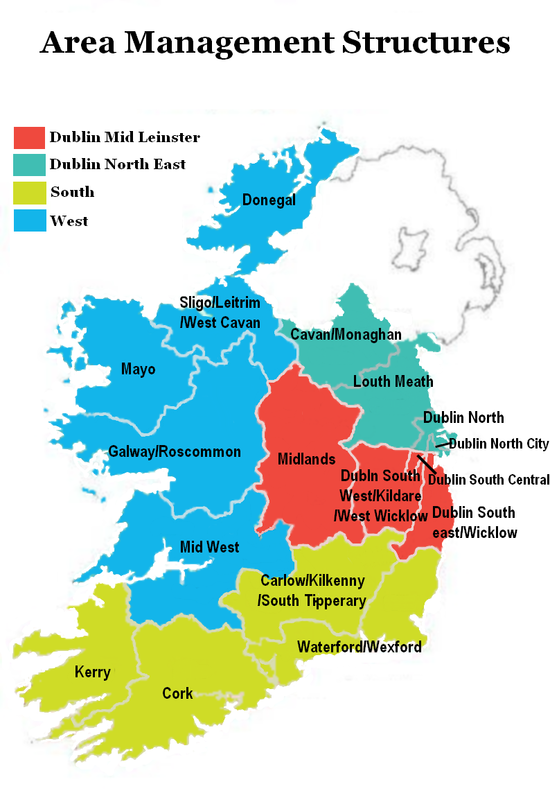 Within each region there are local areas, with a total of 17 local areas nationally. Regional Service Directors and local Area Managers have responsibility for Child Protection and Welfare services, including Alternative Care (with the exception of High Support & Special Care), Family Support and Pre-School services. A PDF document providing contact details for Service Directors and Area Managers is also available here.